Available in imperial and metric sizes. Popular materials include Nitrile, Hydrogenated Nitrile , Genuine Viton™ and low temperature Viton™. 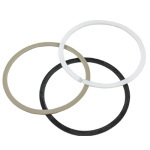 When high pressure is exerted on the O-ring, the soft rubber amterial of the O-ring can extrude into the clearance gap. 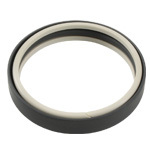 Use of a back-up Ring can help prevent premature failure. Popular materials include PEEK and PTFE. Available in O-ring or quad loaded styles with a beveled or straight lip. 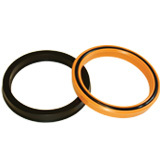 Standard materials include urethane, Viton™, Hydrogenated Nitrile . The T-seal is an improvement on the O-ring design. 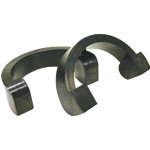 T-Seals are designed to fit O-ring grooves. 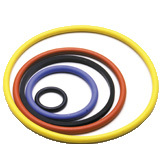 T-seals are composed of Hydrogenated Nitrile or Viton™ elastomer with PEEK or PTFE back-up rings. 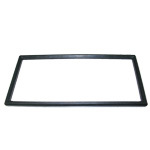 Door seals are stocked in custom sizes and materials. 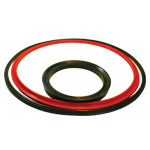 Aftermarket seals are available in Shaffer, Townsend, Sentinel and Hydril styles. Composed of Hydrogenated Nitrile and Carbon Steel. 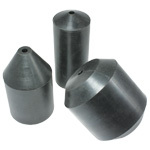 Common line sizes include 3/16”, 7/32”, ¼”. 5/16”, 3/8”, 15/32” and slickline. Available in Hydrogenated Nitrile . 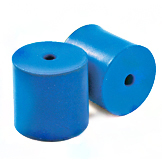 Blue Bullets are an exclusive design composed of an engineered elastomeric compound, which is then coated in PTFE. 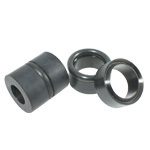 Hi-Tech Seals’ Blue Bullets have been proven to out last other stuffing box packing by up to 50%. Enhanced performance increases the time between maintenance cycles, thereby saving wireline crews time and money. 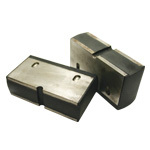 Available for wire sizes 1/8”, 5/16”, 7/32” and ¼”. Popular styles include C, CL, H, HR and 410. Contains a dual coil spring in the heel. 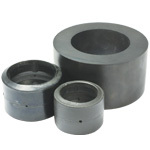 Available in 2”, 2-1/2”, 3” and 4”. A3 Elements are a three-piece element that contains a coil spring in the heel. 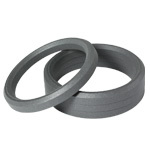 Common API sizes include 1.900”, 2-1/16”, 2-3/8”, 2-7/8”, and 3-1/2”. Visit the size information page.